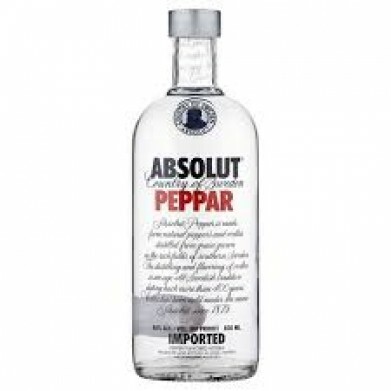 ABSOLUT PEPPAR VODKA LTR for only $24.99 in online liquor store. Aromatic, complex and spicy – this is Absolut Peppar. The pepper flavor is a combination of the spicy components in the capsicum pepper family and the fresh green jalapeño pepper.